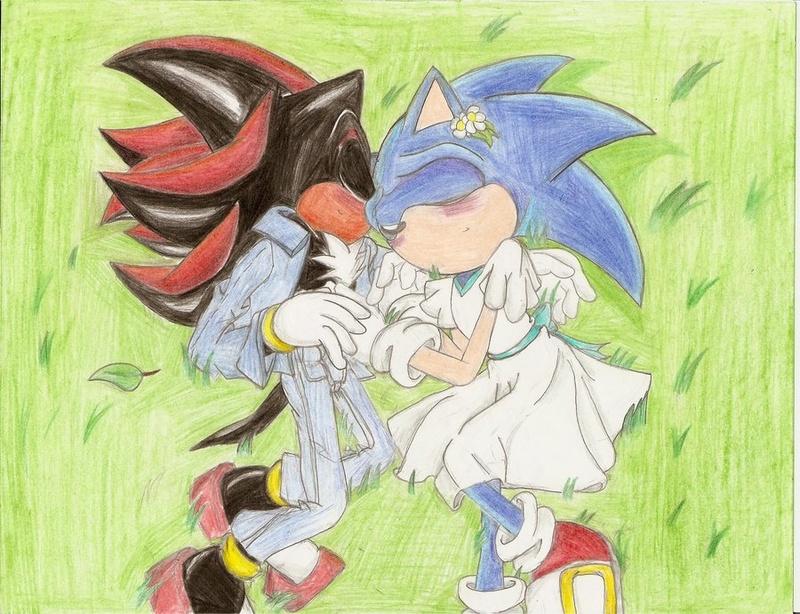 This is actually pretty well done, you did even details in grass, Sonic's dress, that's even funny, and Shadow's pants and jacket, I think this is really well done! It should diserve more faves! Okay.............SONIC IN A DRESS WHAHAHAAH LOLZ~, No offense, I think it's cute and funnny, though!